With the holidays coming up, I wanted to do something extra special with my groups. I feel uncomfortable doing anything too holiday specific, so I decided to focus on the theme of snowmen. With my fourth grade group, I used a "snowman" as the graphic organizer for a summary. As shown in my previous lessons, I teach summary as the main idea combined with the most important details. 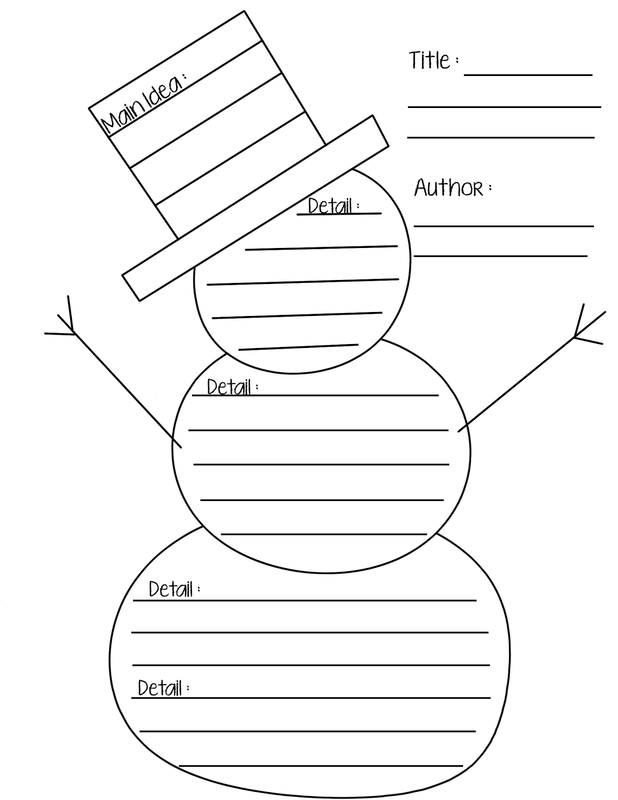 This "snowman" graphic organizer includes those very elements. I think the snowman adds a fun twist to the skill. With two other groups, I used snowmen to focus on comparing and contrasting. For my third grade group, I read aloud two stories, and then we compared the stories using snowmen for the venn diagram. I chose to use The Snowman and Snowmen at Night. With The Snowman, the students had to tell me what was happening, since the book has no words. This was a great opportunity for students to work on paying attention to details. They had some wonderful descriptions. These stories work well for comparison because they both have to do with snowmen coming to life at night. For my Tier 3 fifth grade group, I read aloud Snowmen at Night and students independently read The Mystery of the Suspicious Snowman. 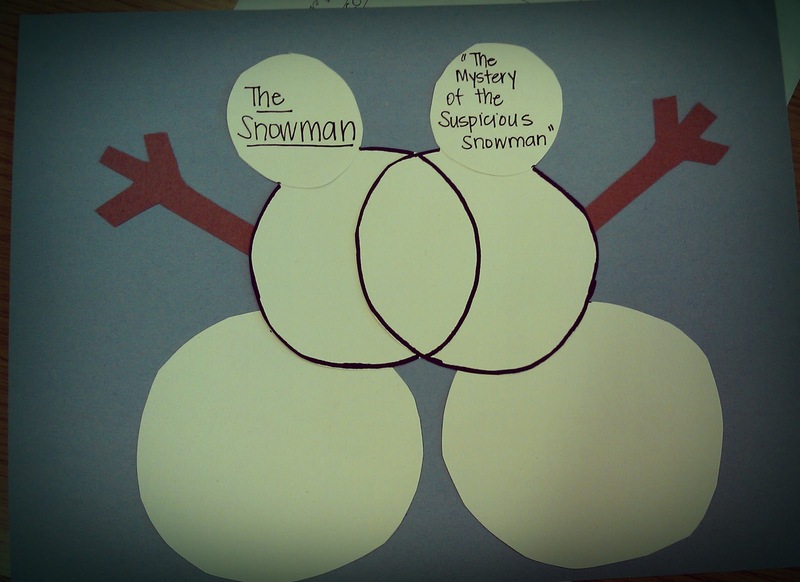 We discussed both stories together and then began completing the snowmen venn diagram. Here is an example of what the snowman venn diagram looked like before we began filling out the similarities and differences. A copy of the templates for the snowmen venn diagram and answer keys for the different stories can be found at http://www.teacherspayteachers.com/Product/Snowman-Venn-Diagram. With these lessons, students continued to focus on meaningful skills while having a little winter fun!